A new condominium, D'Nest, located at Pasir Ris Grove will be launched for preview sales on Friday. 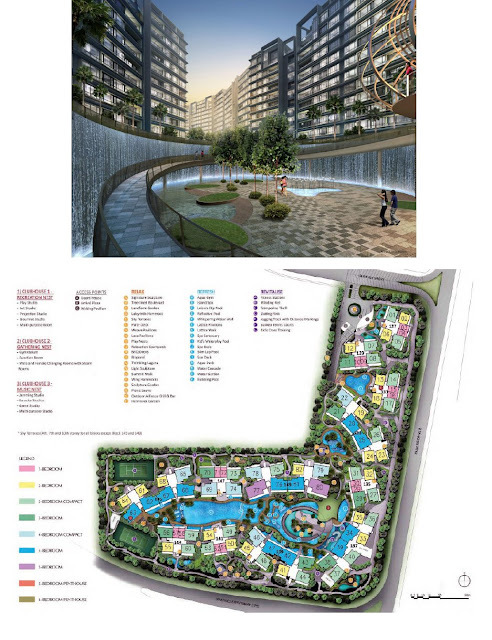 The 912-unit project is jointly developed by City Development Limited (CDL), Hong Leong Holdings and Hong Realty. 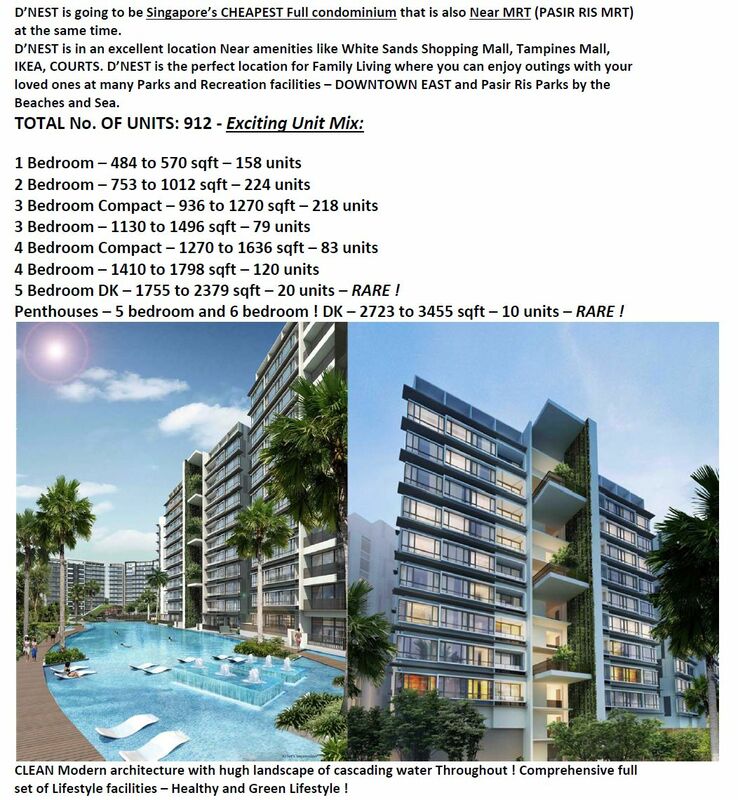 In a statement, CDL said it is planning to sell the units at an average price of $990psf. However, it will be offering an early bird discount of 7% on the launch price in view of the Additional Buyer's Stamp Duty which some buyers have to pay. That will bring the selling price down to $920psf. CDL said one-bedroom units will come with a price tag of about $498,000, while a two-bedder apartment will cost some $680,000. Prices for 3-bedroom units start at $820,000, and 4-bedroom apartments at $1.15 million. Nicholas Mak, executive director at SLP International Property Consultants, said: "Prices of uncompleted condo projects in Pasir Ris range between $956psf and $1,000psf. So $920psf for D'Nest appears reasonable. "At $920psf, I believe the developer will be able to move units. But if the price moves closer to $1,000, then demand might taper. "The developer also has to bear in mind that there are likely to be two new condo developments coming up in Pasir Ris in the second quarter of the year, so there could be some competition." No Comment to " New project info: D'Nest to preview tomorrow! "